Troop 890 is responsible for the maintenance of an area of the park surrounding White Rock Lake in Dallas. On the second Saturday of most months, patrols are assigned to arrive at the site below and work under the direction of the Scout Coordinator and the adult volunteer coordinators to clean up the area. This service activity is part of the Troop's effort to give back to the community by maintaining this beautiful area. 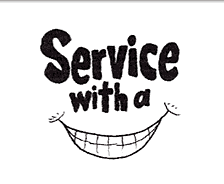 Scouts who attend and serve should receive approximately 1 service hour. All Scouts are expected to attend at least one Clean Up per semester. We meet in the parking lot on the north side of the creek at 9:00 AM. Lake Shore Clean Up Youth Coordinator is Garrett, gmanwoodbury@icloud.com. One of Troop 890’s major community service projects is to assist LHUMC in sponsoring and providing holiday parties in connection with LHUMC’s community outreach. We spread cheer, food, and gifts to needy families. 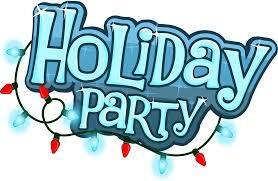 We usually do the parties on the 2nd Saturday of December. This is a mandatory service project and all Scouts MUST participate unless they have an approved excuse by the Scoutmaster. Our current adult Coordinator of this project is Michelle Miterko, miterko@mac.com. On my honor, I will do … my duty … to my country. We march in the LH 4th of July Parade each year and help the Sons of the American Revolution carry flags and banners. We also are requested to help local schools and elderly care facilities with flag ceremonies on other patriotic holidays. 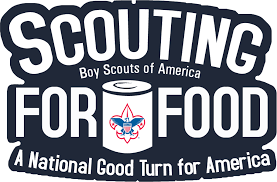 Each year the Boy Scouts go out into our community to first deliver collection bags and then a week later go back out to collect food that is donated by the generous families in our area. By giving to the Circle Ten Council's Scouting for Food drive, you are helping those in need right here in the North Texas/Oklahoma region. Last year, Scouts collected 433,896 cans that were distributed to over 40 food banks across 12 counties. Once a year in February, we give a little back to the church on Scout Sunday. The Troop cooks pancakes, sausage and bacon for the church members before the services. Orange juice and coffee are also made and served. This involves getting to church early, around 7:00am. The Scout volunteers are encouraged to do the cooking with adult supervision. This activity usually wraps up around 11:00am. The Scouts along with other Scouts that did not help with the breakfast then attend the church services. A Scout color guard needs to be present to post the colors. The adult leaders give the congregation an update on the goings-on of the Troop. Cross and Flame recipients are recognized at the church service. Scouts that work the breakfast do receive service hours. Scouts and ASMs are required to be in full Class A uniform.